Many Nova Scotians with intellectual and physical disabilities continue to live in large institutions against their will, while others are being taken care of by ageing and senior parents. Affected people are saying enough is enough. 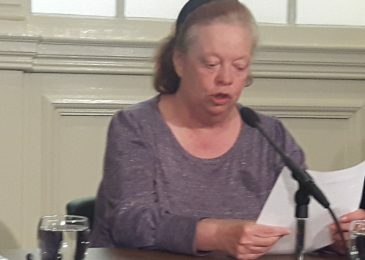 We went to today’s press conference at Province House, and transcribed in full the powerful statements by Jeannie Whidden of People First Nova Scotia, and Jen Powley, of No More Warehousing.